Strut around your neighborhood blaring your favorite tunes, hands-free, with speakers that strap onto your feet. Sneaker Speakers by Ray Kingston are the modern answer to the ’80s urban boom box trend, equipped with bluetooth to play music from your phone or iPod. The New York-based design studio created Sneaker Speaker to combine various forms of street art and urban expression, “visually as well as musically.” Paying homage to the tradition of sharing music with others in public environments, Sneaker Speakers ensures that not only can you force your musical preferences upon everyone within earshot, but fiddle with your phone while doing so. 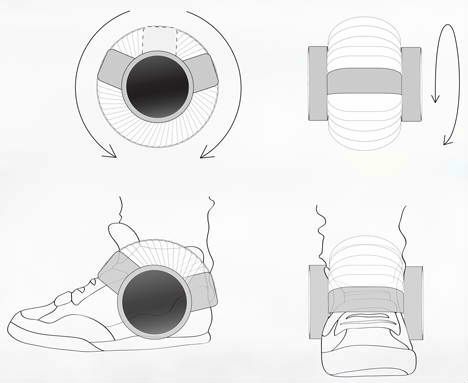 The speakers fasten onto sneakers with adjustable straps, wirelessly connecting to Bluetooth-enabled electronic devices. 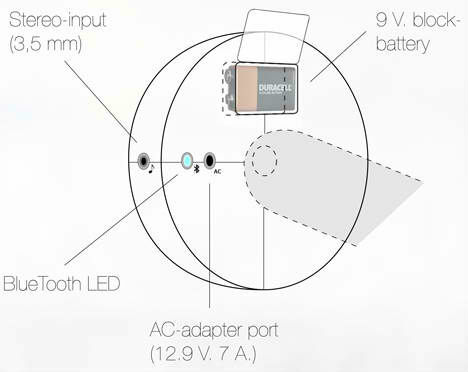 They can also be plugged into a stereo using an AC input. For the man who needs to take a party speaker with him every where he goes... introducing sneaker speakers! Finally, the product we ALL have been waiting for.